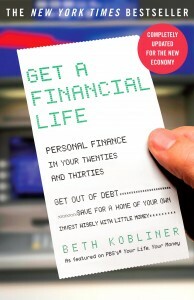 Interview with Beth Kobliner, author of Get a Financial Life. Apply information on saving money. What is the best way to stay committed to paying off debt? Don’t rely on willpower alone: Figure out how much you can afford to pay your credit card companies every month and set up automatic payments. Because the money is automatically withdrawn from your account, you won’t see it and be tempted to spend it. As a bonus, you’ll never be late-which protects your credit score. Make it hard to spend your own money: Don’t keep your credit card on file at any of your favorite websites. Forcing yourself to manually type out a credit card number will give you just enough time to ask yourself if you really need the item in question. Another tip is to carry cash. This will help you save, since studies show you’re likely to spend less if you pay with paper rather than plastic. Pay as much as you can: It might not seem worth it to pay $20 extra, but small differences add up. Say you owe $1,000 on a credit card. If you only pay the minimum every month, you’ll spend more than five years and almost $400 in interest paying off your card. On the other hand, if you just tack $20 onto that initial minimum and vow to pay that amount every month, that $1,000 debt would be gone in just over a year and $138 in interest. Study up on student loan repayment plans: A program called “Income Based Repayment” calculates monthly payments based on each person’s income-or lack thereof. So, for example, a student who graduates with $23,000 in student loans and earns $25,000 a year could pocket an extra $150 a month by signing up for IBR. The new rules also make it easier for someone in a public service job to have student loans **completely** forgiven after 10 years. You can find out more about this program at ibrinfo.org or finaid.org. See if a family member will loan you the money: If loved ones are willing to help with your debt, take them up on it. Get the deal in writing with a downloadable promissory note from nolo.com. The IRS will require them to charge you nominal interest (1.9%), but that’s way better than the interest rate most credit card companies charge (16%). Your family will make more money than they’d get from a savings account (these days they’re paying less than 1%). If done right, everyone wins. What is the recommended way of tackling debt? BK: The number one thing to consider when dealing with debt is the interest rate you’re being charged. The rule: rank your rates and pay off the most expensive debt first. Paying off a loan with a 14% interest rate, for instance, is in effect paying yourself 14% interest, guaranteed and tax-free. When you look at it that way, it’s a great deal. What is the best way to stick with a spending plan/budget? 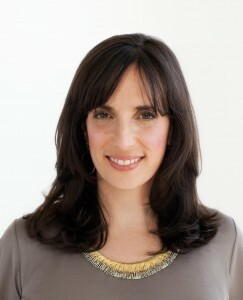 BK: The key to saving is to get a handle on your current spending habits and then reevaluate priorities. The budget worksheet on my website is a good place to start. It can help you see where your money’s going and where you can try to cut back. The old saying “pay yourself first” is a great mantra. The thinking is that you should contribute to your savings as diligently as you’d pay your monthly bills. One way to do this is to have your savings automatically diverted into your savings account. If you have a regular paycheck, ask your employer to have a fixed sum taken from each check and funneled directly into your savings. If that’s not an option, set up automatic transfers to a savings or mutual fund account through your bank website. If that sounds daunting, aim to save just $3 a day. By starting today, you’ll have more than $1,000 in a year. A 35-year-old woman who makes this her habit could have about $120,000 stockpiled by age 70, assuming she invests in an IRA with an annual rate of return of 6%. If you can’t manage to carry cash, set up a weekly automatic transfer of $21 (Bank of America and T.D. Bank, for example, have no transfer minimums) from your checking to savings account. Just make sure you have enough money in checking to transfer! To win a free copy of Get a Financial Life, head over to the MainstreamMom Facebook community and enter the giveaway now… that’s all! Giveaway closes August 31st.